Hello Doodlebug fans! Jennifer here to share my "inspired by" project. There were so many amazing projects on the DB Pinterest boards, that picking just one was quite a task. I ended up selecting this adorable door sign by Shelley McDaniel. I decided to keep the main elements of Shelley's project. The fence, bunny, "Hippity Hoppity" phase and the Easter eggs. However, I re-sized and moved things around for a new look. Here's how mine turned out. 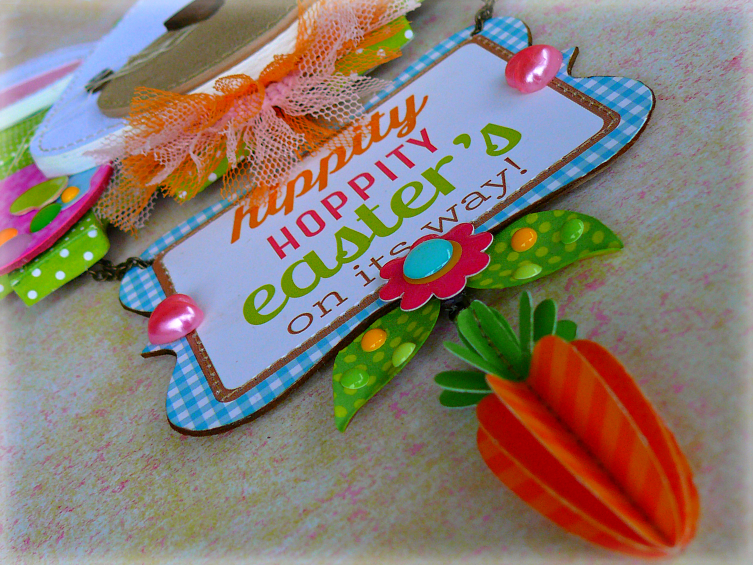 Using my Silhouette, the fence and bunny were cut out of thin chipboard. The chipboard pieces were then glued onto some thicker chipboard and hand cut out. The Easter eggs. 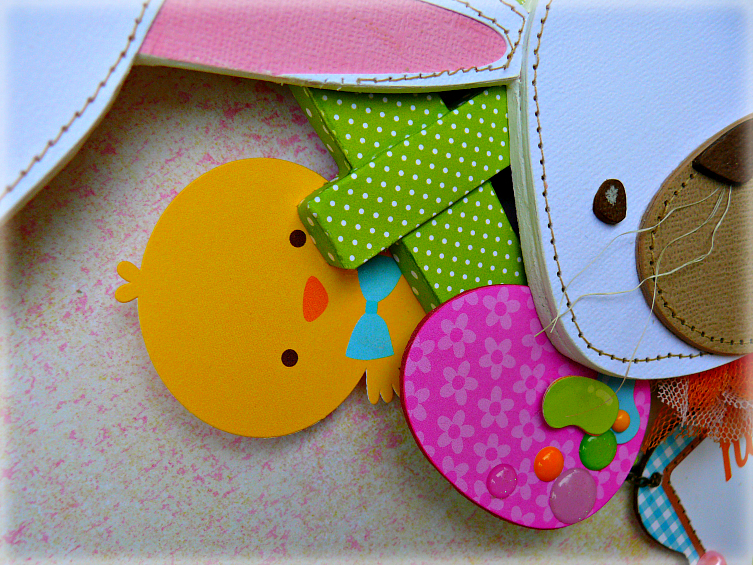 chicks and carrots are all die-cuts from the Bunny and Friends Craft Kit. 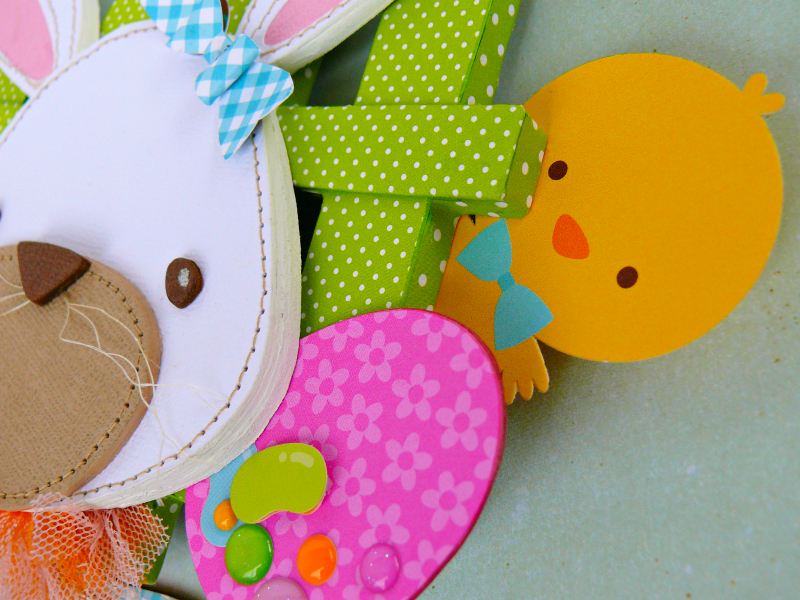 The kit is full of fun critters and Easter icons, that are double-sided. 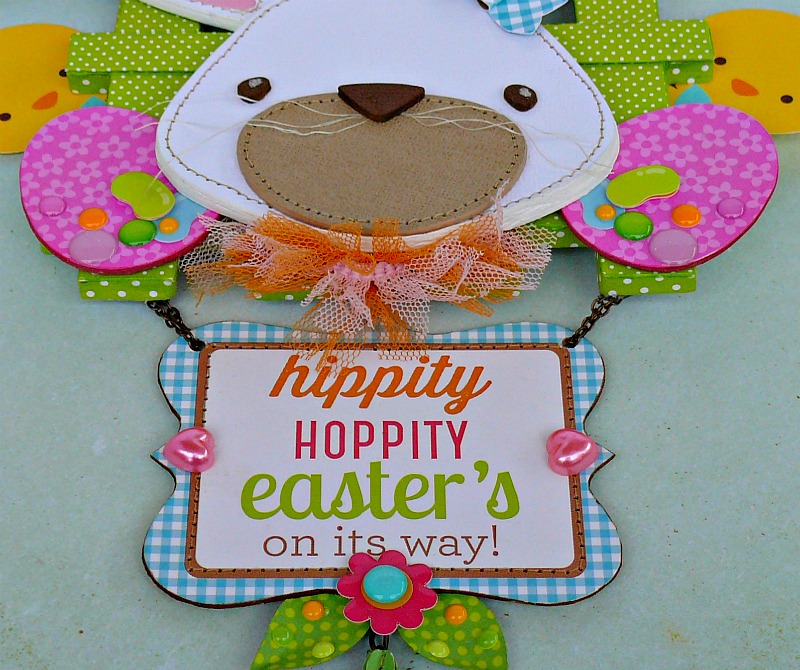 The "Hippity Hoppity" sticker was mounted to chipboard and attached to the fence with some chain and hot glue. More chain was also attached to the back of the piece, for hanging. Here's a close up of some more die-cuts and my favorite part the project - the carrot! As you can see three carrots were stitch down the center, then folded upwards to create one 3d carrot. The leaves used are from the Spring Flowers Kit and were embellished with a flower and round sprinkles. Thanks for the inspiration, Shelley! Happy crafting, Doodlebuggers! :) Jennifer. Beautiful project!!!! Love it Jennifer!! F U N and FABULOUS projects!!! Wow - Jennifer, I am super impressed and think that you have done a wonderful job with inspiration from Shelley!!! The colors are bright, the images cute and what a great job you have done of pulling it all together to create this fantastically cute decor!! !